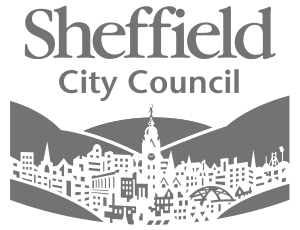 Sheffield Digital does not receive any public funding. We are extremely grateful to the following organisations who have supported our work from the beginning. Lightworks provide leading 3D visualisation technology, application development and creative services to businesses worldwide. Since 1989 we’ve acquired a loyal customer base across the design, manufacture and entertainment sectors. We provide companies with software integrations into CAD and design systems, bespoke configurator builds for use in the design workflow or at the point-of-sale and bespoke application development to meet specific visualisation requirements. Often referred to as “the Pinewood Studios of the games industry”, award-winning Sumo Digital is one of Europe’s largest game development studios. Using its in-house technology and creative talent, the company produces critically and commercially successful games across PC, Xbox, Nintendo, PlayStation and mobile for some of the world’s leading publishers. Since it was founded in 2003, the company has grown from 12 to over 300 people spread over the head office in Sheffield, a development studio in Pune, India and the most recent third studio in Nottingham. At the 2013 Tiga Game Awards, Sumo won Best Arcade Game (Large Studio) for Sonic & All-Stars Racing Transformed – SEGA’s bestselling console game of their FY2013, and the Outstanding Leadership Award. In 2015, LittleBigPlanet 3 won the DICE award for ‘Best Family Game”. Sumo has also won a BAFTA award and numerous BAFTA nominations along with various other Industry Awards for excellence. Headquartered in Leeds and led by Chief Executive, Richard Flint, Sky Betting & Gaming was formed in 2001 and has since grown to become one of the UK’s leading online bookmakers, with a team of 850 employees and a strong track record of innovation. Its technology hub in the Electric Works in Sheffield was opened in November 2015 and already has 70 employees. In November 2015 Sky Betting & Gaming announced a further £5m investment into growing this team by creating an additional 100 technology based jobs in the city. Tech North is a government-funded initiative that supports the growth of the digital tech economy in the North of England across seven cities (Liverpool, Manchester, Leeds, Sheffield, Hull, Newcastle, Sunderland) and all the points in between. We run initiatives and programmes in three main areas: to attract inward investment to the region, to develop digital and entrepreneurial skills to increase the talent pipeline, and to develop the angel and VC investment scene in the North. Our role is as a catalyst to help develop the ecosystem in cities and across the region as a whole, by supporting community activities that already exist and seeding new ones. The Enterprise Unit at the University of Sheffield bring students, academics and local businesses together to make good ideas happen. It provides enterprise training and support, and organises events for new entrepreneurs such as the regular Sheffield Startup Weekends. Sheffield Hallam University has a proud digital history incorporating strong links with industry, commerce and the public sector. We have longstanding partnerships with major technology companies such as Cisco, Microsoft, Oracle, SAP, SAS, Sony Entertainment and Sun Microsystems and our courses are accredited by the British Computer Society, in consultation with practising computing and IT professionals. Consequently, our courses are highly practical and specifically designed to meet the needs of industry and research. Moreover, as the needs of the workplace change and evolve, our courses are continually refined to ensure that learners develop the knowledge, skills and experience required for this dynamic industry. Sheffield Technology Parks is a non-profit specialist IT and Technology business centre, located in the Cooper Buildings on Arundel Street. The centre accommodates some of the most innovative digital companies developing unique software and programs for a variety of platforms, alongside professional business support service providers including law firms, business consultants and training companies. All revenues goes back into the business, premises and networking events to help build a professional, helpful business environment. Sheffield Technology Parks and the Showroom Workstation work in partnership to form the main managed workspaces within the Cultural Industries Quarter and are home to a hub of some of the most dynamic businesses in Sheffield. Both business centres offer unique services and cater for a wide range of like-minded companies within the IT, Creative and Digital Industries.